Not too long ago, the 2011 Adobe Design Achievement Awards wrapped up and showed us a slew of awesome creations from designers, developers, and all sorts of other creative people. In the interest of creative-minded students everywhere, I recently took the time to get in touch with one of the winner for an interview. Andy Mangold is one half of the winning team in the Browser-Based Design category. His project, Crowdstorms, is an innovative web app that lets people create collaboritive lists. I connected with Andy to ask him how he went about creating Crowdstorms. Give a little background info – where you’re going to school, what you’re studying, etc. I’m actually graduated now. I grew up in Westchester, Pennsylvania and majored in Graphic Design at the Maryland Institute of Art (MICA). Now that I’m out of school, I’ve partnered with some of my college friends to form the web design company Friends of the Web. Can you give a brief overview of what Crowdstorms aims to do? Sure. Crowdstorms is basically a set of collaborative list-making tools. People can log into their account and start making lists – about anything, really – and then they can share these lists via their social networks. They can also let other people work on the list, so their lists become a collaborative effort. A quote by Steve Jobs that adorns the bottom of every page at Crowdstorms. The second function of Crowdstorms is cross-referencing. Lists from different users are cross-referenced in the background, so they’re building an associative reference tool without even thinking about it. Our goal is to eventually end up with a site that allows you to search for something and returns a map that shows how that term sits in our culture, as well as what people associate it with. We think there is value in documenting these associations. How can Crowdstorms benefit students? Well, our real target market is people in creative fields – graphic design, publishing, web development, etc. So, students in these kinds of fields can brainstorm for projects and assignments more easily by using Crowdstorms to see how like-minded people associate things. Students also gain the advantage of simply working in a large group of people, since Crowdstorms is so reliant on collaboration. It makes research and inspiration easier. What are some of the technologies that went into building Crowdstorms – both languages and programs you used? The first version of the site – the one we submitted to ADAA – was designed using Photoshop and Fireworks and coded using PHP and MySQL. We also did the branding for the site in Illustrator. The current look of Crowdstorms. However, we completely overhauled the site after ADAA. Now, instead of using PHP, we’re using Rails. The interface has changed quite a bit as well. What got you into doing web design? I actually started building websites back in middle school with the same group of guys I’m running Friends of the Web with now. When I started, I just thought it was really interesting. I kept doing it to gain experience and eventually to make some money on the side. Was Crowdstorms build specifically with ADAA in mind, or were you working on it beforehand? We were working on Crowdstorms way before we know about the ADAA competition. Once we found out about it, Crowdstorms was a no-brainer for an entry. Now that the competition is over, we’re still putting a lot of work into it. What was the ADAA experience like? It was amazing. We were able to meet people from all around the world doing amazing work of their own. Getting to travel to another country was incredible as well; in fact, I’d say that was the best part. We went to Tappe, Taiwan. It’s an awesome city with good, cheap food and great public transit. 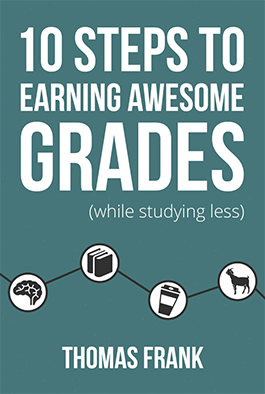 What’s your best tip for students looking to get ahead? I think it’s important to do what you love and what interests you. If you don’t love the program you’re in or your university doesn’t quite offer what you’re looking for, find a passion you can pursue outside of class. That’s it! If you’d like to learn more about Andy, you can check out his website or follow him on Twitter. If you’re a creative student, you can also think about entering the 2012 ADAA competition for yourself!